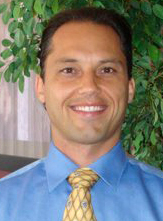 I’m Dr. Dan and I thought I would share with you my personal story of why I became a chiropractor. Since I was young I was very active with sports and through the years of playing hockey and football I had several injuries. By age 22, I was suffering from chronic neck and back pain. I decided to go to school to become a physical therapist to see if I could get better through typical western medicine. Throughout my schooling I received a lot of physical therapy and had many visits with orthopedic specialists during times of treatment. I seemed to get better but never completely. So I thought I would try a locally recommended chiropractor. After an exam it was brought to my attention that I had misalignments in my neck and an abnormally developed low back and because of it I was susceptible to neck and low back pain. The chiropractor laid out a treatment plan and I got started. The results were amazing and as I hung around his office I seen people recover from various ailments that I never knew chiropractic could help with. Needless to say I was very fascinated and inspired to learn more about the field of chiropractic and shortly after I decided to enroll in school. When it was time to look into which school to enroll in I found out there was over 50 schools. So with some research and a recommendation from my chiropractor I decided to go to Life West Chiropractic College in the bay area of northern California. To my surprise the course load was very challenging and similar to a medical doctor curriculum. My favorite courses were anatomy, physiology and sports injuries/treatment. Our philosophy at Jurgens Chiropractic is if you change your lifestyle to live in a pure and sufficient environment the human body can heal itself from many of the common ailments. Through ongoing in-office education our practice members learn to manage physical, chemical and emotional stressors. It’s a fact that the human body only gets sick when it is toxic with something it should not be getting or deficient of something it should be getting. One physical stressor that leads to toxic signals is a subluxation, a dysfunctional joint that may or may not be misaligned. Through a procedure, called an adjustment, we correct subluxations and allow the nervous system to coordinate healing within the body. Patients are exposed to a lot of new information in our office. The ones who get the best results are the ones who are opened minded to the new information and implement it into their daily lives. From changing their diets, to learning about how subluxation can interfere with nerve system function our patients feel well informed and empowered to make changes in their health. We also offer detoxifying treatments in our office. I’ve got to be honest. I never understood how toxic a young person could get until I did my first extensive detoxifying plan. To make a long story short, I started a detox plan when I was 31 and within two weeks I had a black tongue and mouth. It took almost 8 weeks to clean my body of all the toxins and I definitely felt revitalized after completing the program. If it is something you have thought about before, I encourage you to ask about our detox programs. Other important health issues we frequently discuss in our office include vaccinations, and the overuse of antibiotics and pain medications. If you have young infants or know someone who does then ask one of the doctors about information on vaccinations. It could save you the health of your children. The overuse of antibiotics and pain medications is also a health concern. Antibiotics can be useful in the case of a life-threatening infection, but in most cases it is just simply over prescribed and ultimately damages your health without you even knowing. Pain medication is also overprescribed and ultimately fool people into thinking they have healed their problem (whatever pain it may be). Pain is an essential signal to let someone know there is a problem but if you don’t get a joint adjusted after it has been hurt it will heal with abnormal motion (form scar tissue formation) and potentially alignment. This is where pain medication covers up the problem by desensitizing pain nerves and leave you with a false sense of being healed. For further information on how it can adversely affect your health come in and ask one of the doctors at our office. I consider myself an excellent listener and hope I get the opportunity to meet you in person and discuss your specific health challenge. Give our office a call or email me.